I am going to make some socks for my dad. I started with my figuring out my gauge. This will be my first pair of socks to knit. 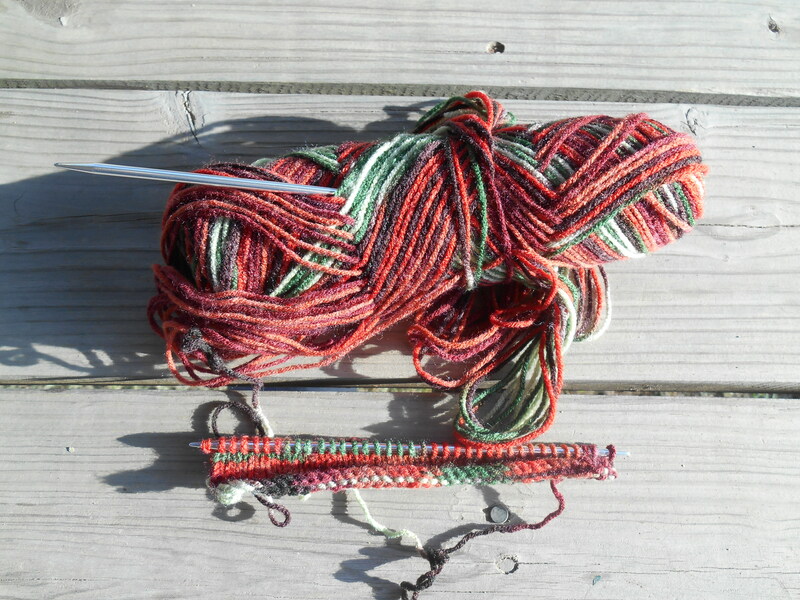 I’m using Purl Soho’s pattern. 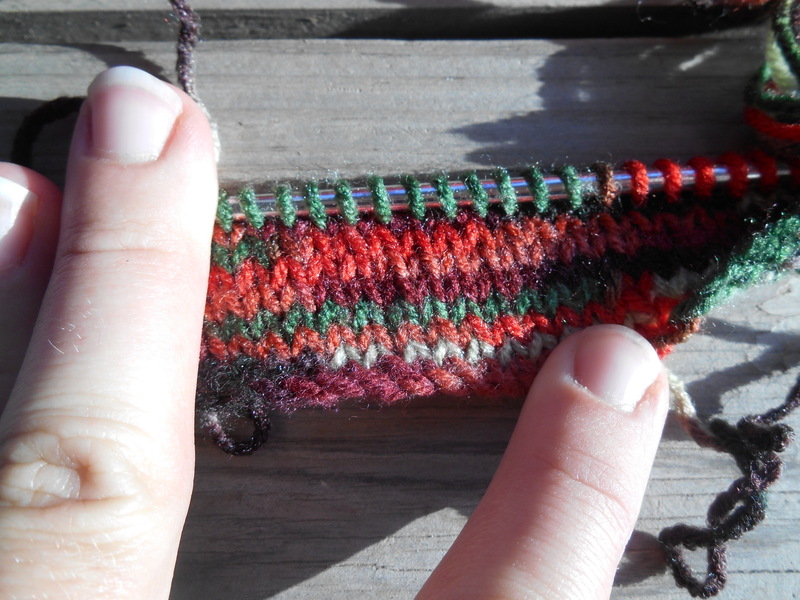 I’m not doing the stripes because I’m using a variegated yarn. I had four or five rounds knit on my needles, but I went upstairs to do something and when I came back downstairs, the needles were not where they were supposed to be. Very sad. Very nice color for socks. The colors are masculine and am sure your Dad will appreciate them.